The much anticipated ‘Super Cars’ event, run by a team of BTEC Business students, took place this week. 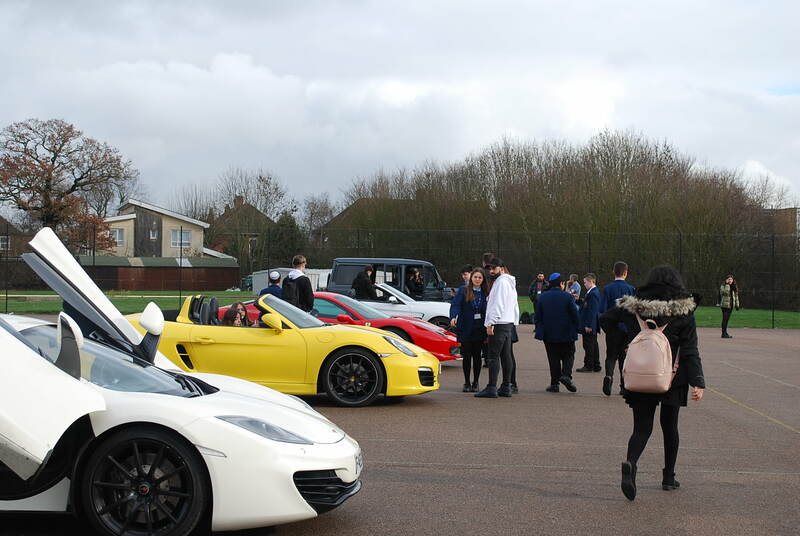 Preceded by a few weeks of promotion, and with minimal teacher assistance, they organised 7 Super Cars to be brought to the school grounds, where a paying ticket holder could have their photo taken in the driver’s seat. The cars included a Ferrari Speciale 458, McLaren 540c, Porshe Boxter and a Mercedes C63s AMG. The sound of the engines was thunderous, and the queue of students and staff quickly grew for those wanting to come in to see them up close and personal. Many people afterwards commented on how unique and thrilling this event was, and the team who organised it felt extremely proud of themselves – as they should. Congratulations!